We would like to thank you for referring your family and friends to our practice. When you refer a patient that starts Interceptive or Comprehensive Treatment with us, we will deduct $50 from your account (a maximum of $200). 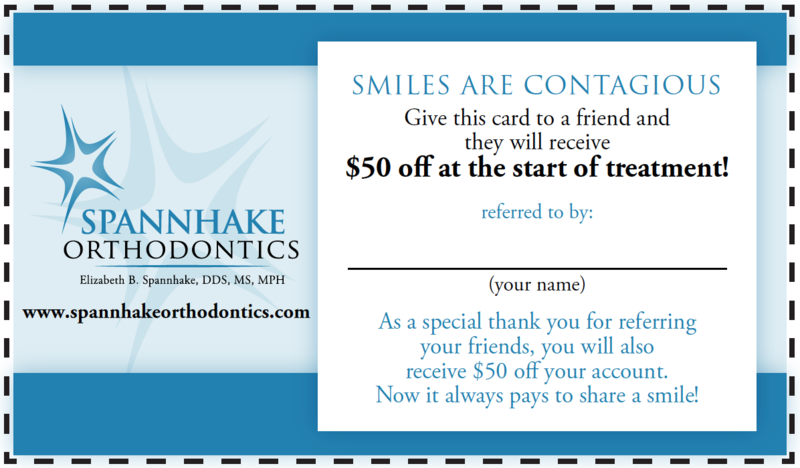 As a bonus, the person you refer also gets a credit of $50 at the start of treatment. Just download, print, and fill out the coupon below and have your family member or friend present it at their appointment.